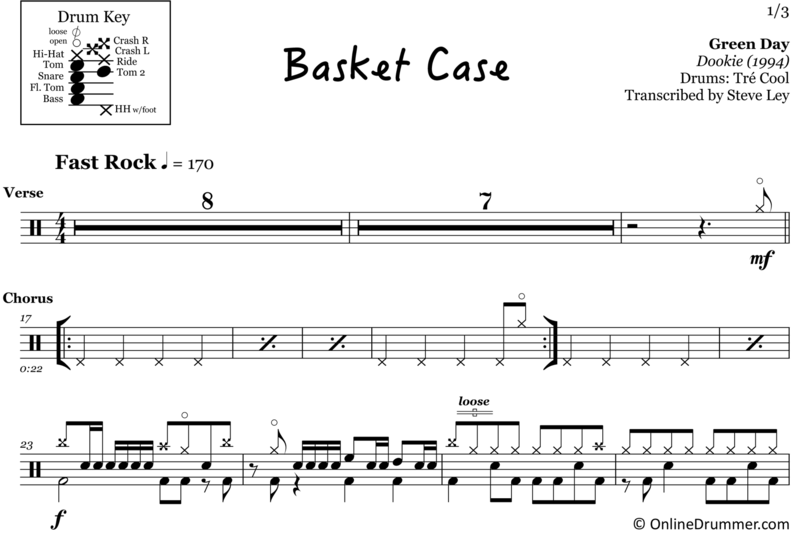 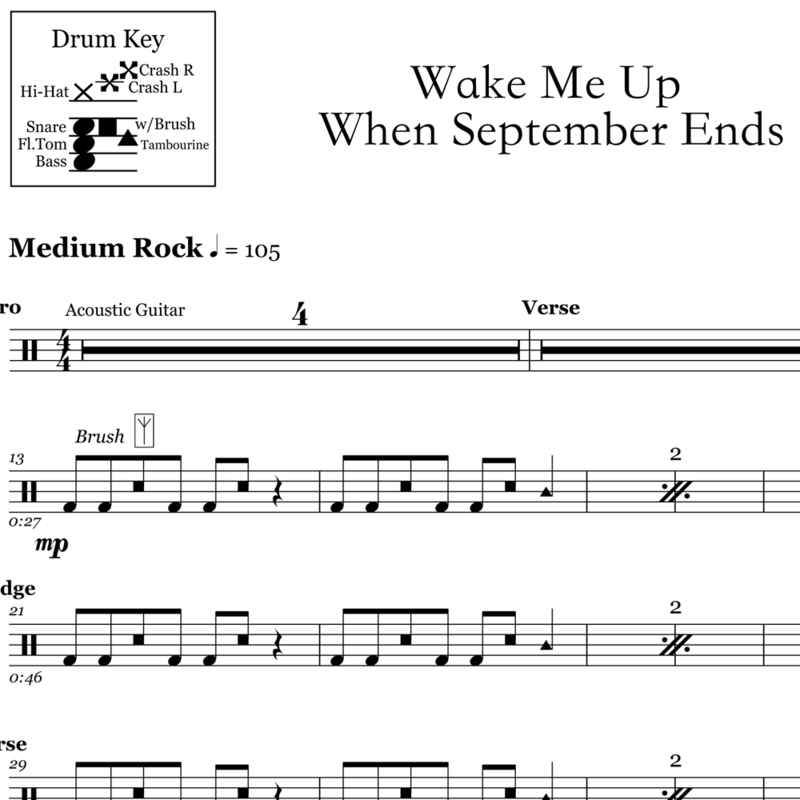 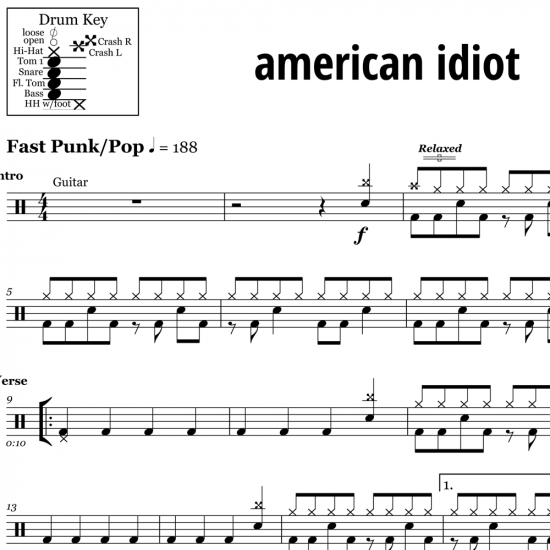 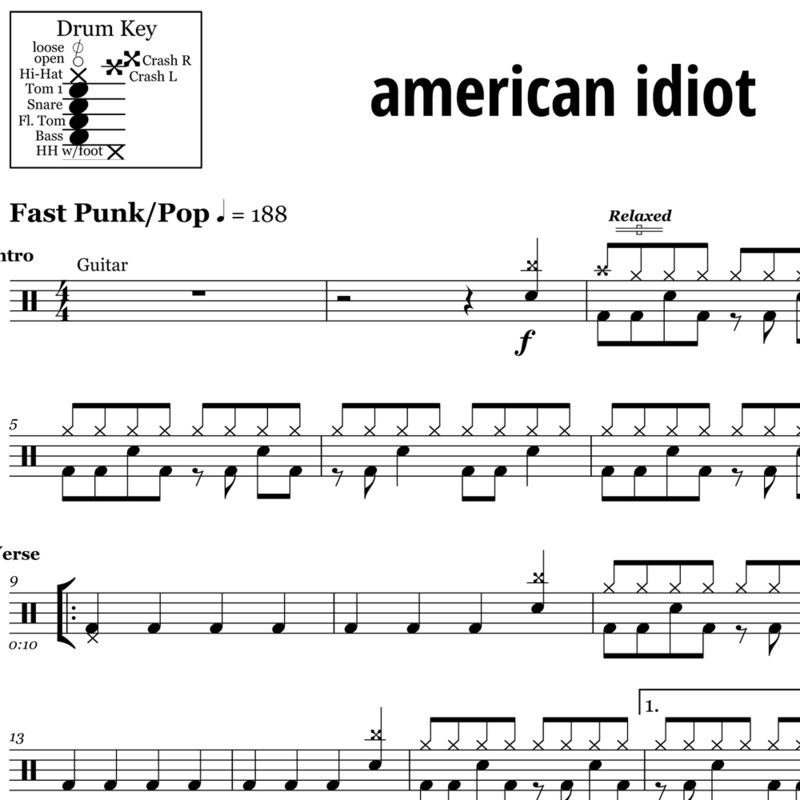 The full drum sheet music for “Basket Case” by Green Day from the album Dookie (1994). 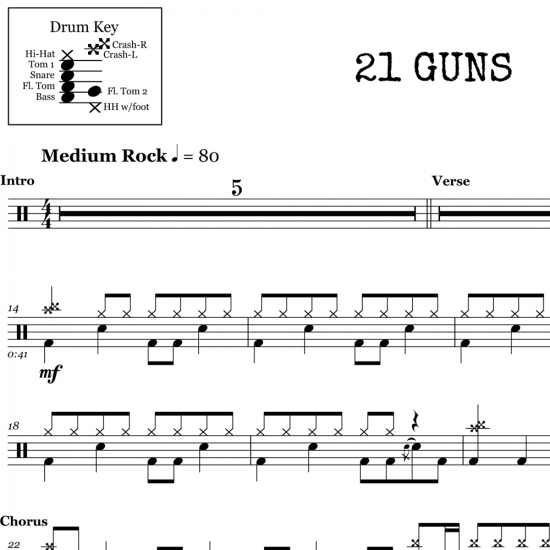 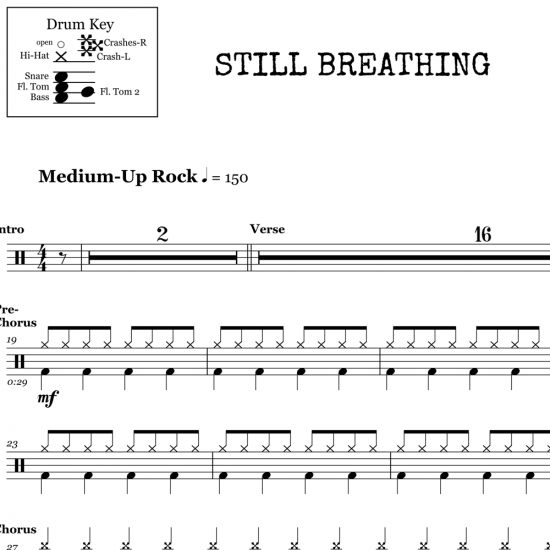 The equivalent to a full-on sprint, Tre Cool’s track on Basket Case will bring you to a sweat. 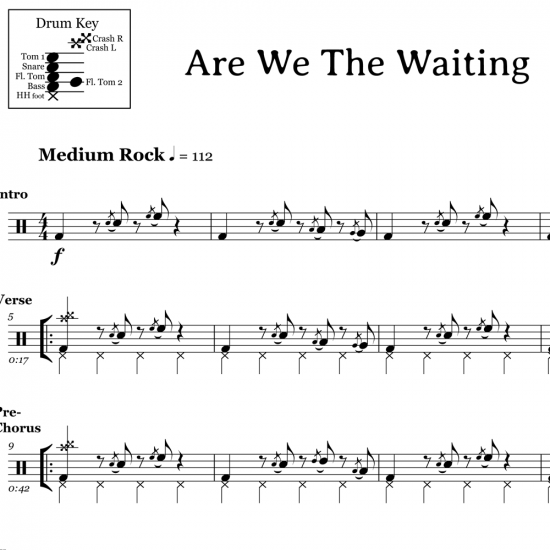 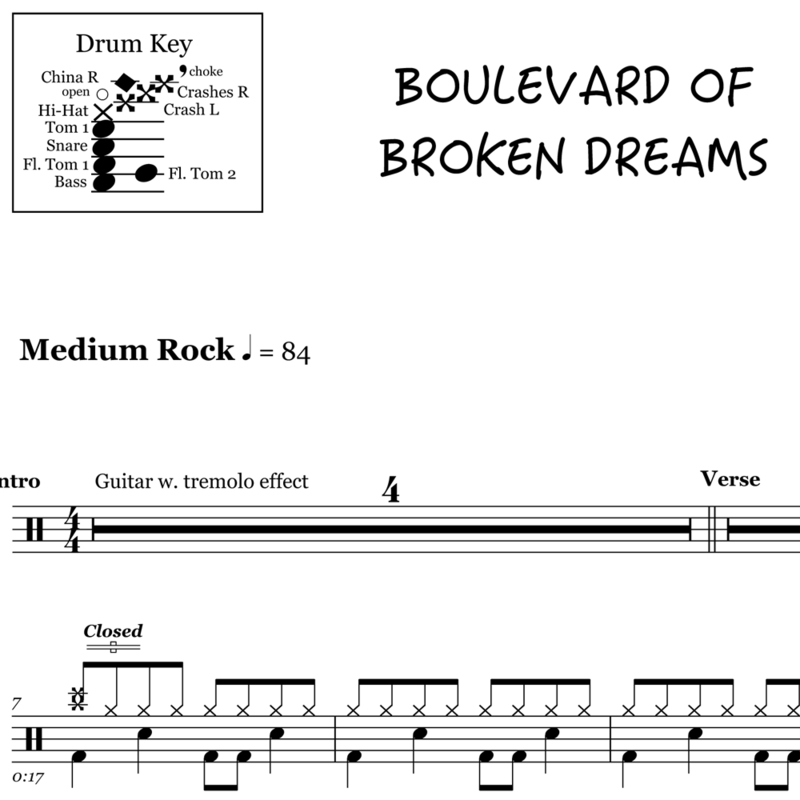 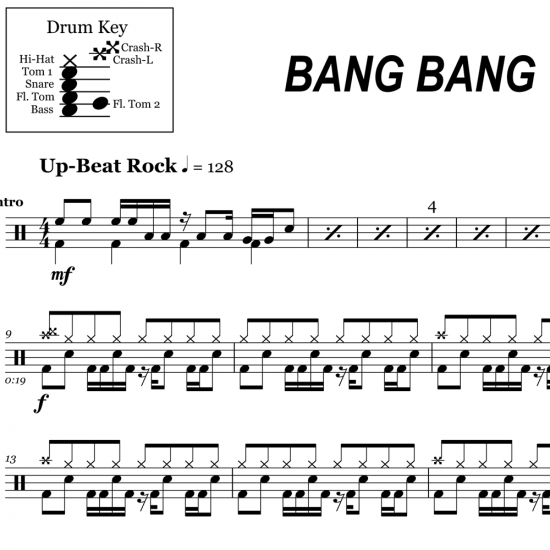 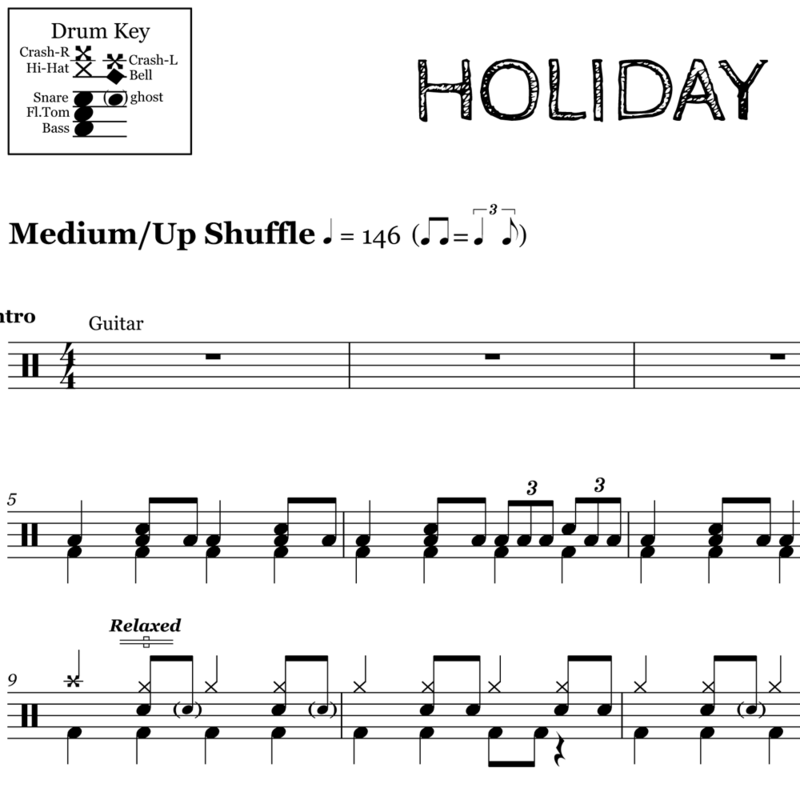 With high-energy drum fills, beats and ridiculously placed cymbal strokes (in a good way), you won’t get bored with this one.